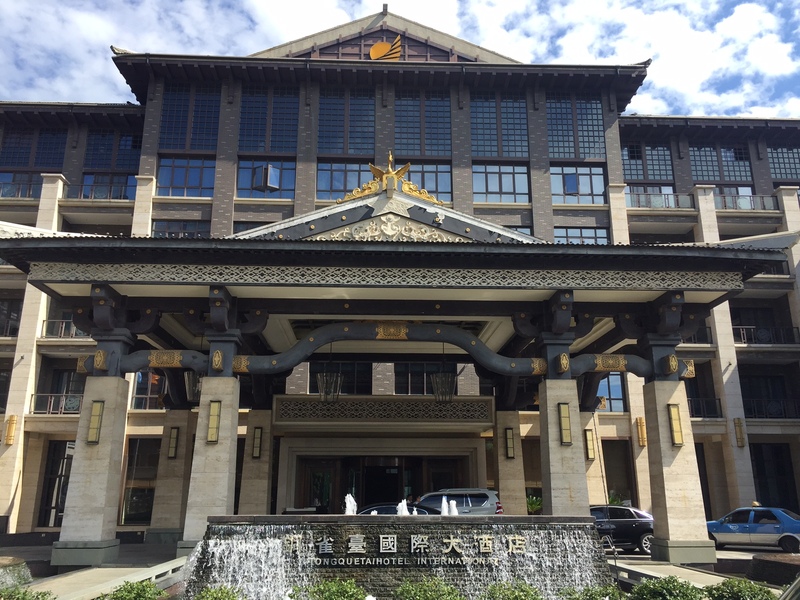 The 3rd MLily Cup tournament venue is the beautiful Tong Que Tai New Century Hotel International (photo top left) in Tongling City, located in Anhui province, on the Yangtze River just a few hours south-east of Hefei, the provincial capital. 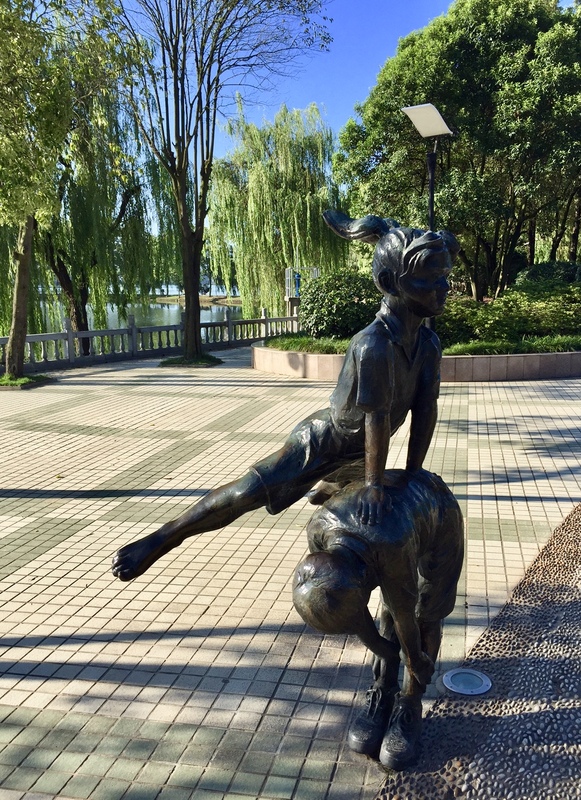 One block away, and visible from the hotel, is a large lake called Tianjinghu surrounded by walking paths and parks. A few tree studded walking paths cut across the center of the lake (photo right), joining the banks with several islands and peninsulas. In some areas of the park, it was easy to forget that I was walking in the middle of a city as I climbed stone paths surrounded by forest. 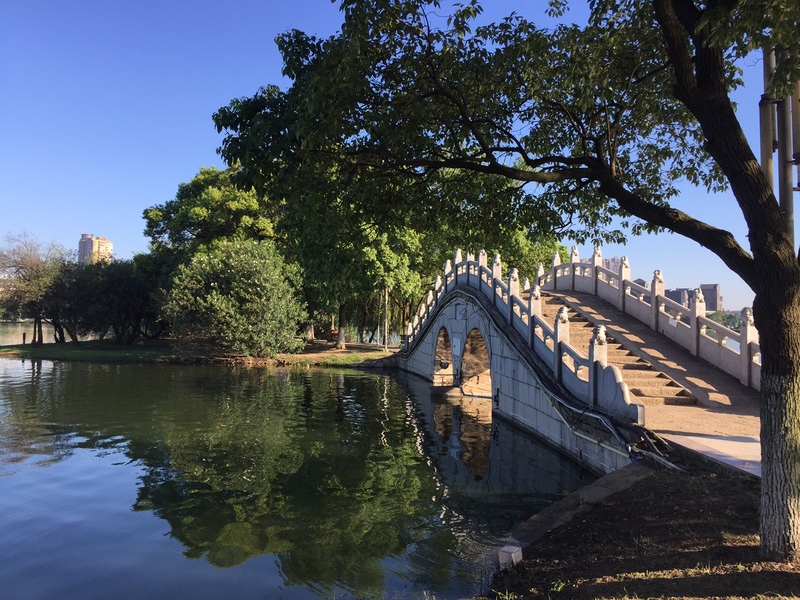 I was able to explore the park in the early morning light, before the heat of the day set in - which made the temperature comfortable despite sky-high humidity – and found it to be a popular place for locals to jog, swim, practice martial arts, and warm up their vocal chords to get ready for the day. The city is filled with copper and bronze statues (bottom left) that provide evidence of the city’s industry. 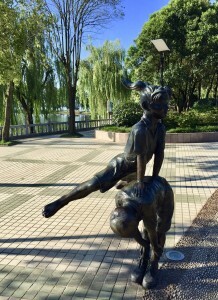 Tongling City is named for it’s copper history, which stretches back 3500 years; Tongling was the site of the first industrial production of copper in China. As a result, it was an early center of industry and wealth in the region. Tongling’s copper continues to serve as the base of industrial copper production in China (historical information from the MLily Game Guide). 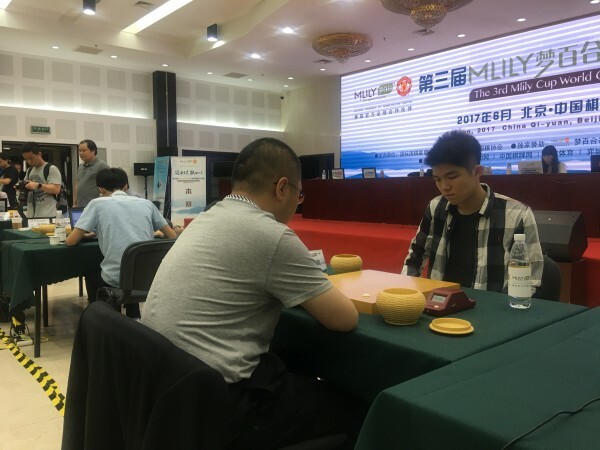 Ryan Li 1P is gearing up for his next match in the MLily Meng Baihe Cup World Go Open Tournament (MLily Cup), achieving his place in the top 16 after a stunning upset win against Chen Yaoye 9P (photo at right) in the last round on June 21st; see the story and game record here. “My goal going into the match was to not let him win too easily,” Li (right) said of preparing for the June match with Chen. In an interview at the recent U.S. Go Congress, Li said that he was excited for the match against Chen as a learning opportunity since Chen is a world champion who had previously beaten Ke Jie 9P. During the match, there was a moment at the beginning of the endgame, after all the groups had been settled, when Li realized he could actually win. “He told me that it felt like his heart would pop out of his chest,” Stephanie Yin 1P said with a smile. Li remembers that his first professional go tournament was as an amateur player invited to participate in the MLily preliminaries in 2012 where he lost in the first round, and he characterizes his place in the top 16 of this year’s MLily as a life achievement. 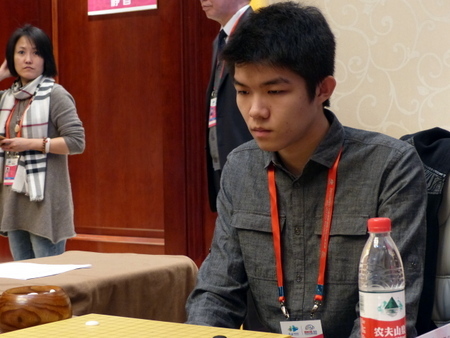 “I’ve always wanted to be in the top 16 in a professional go tournament,” he says. “I set that goal right before this tournament started, and it immediately happened. 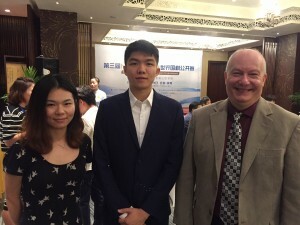 It’s just amazing.” Ryan Li is only the fourth professional go player to be certified by the AGA, winning the January 2015 pro certification tournament, and when not playing go, he is pursuing a PhD in atmospheric sciences at Yale University in New Haven, Connecticut. 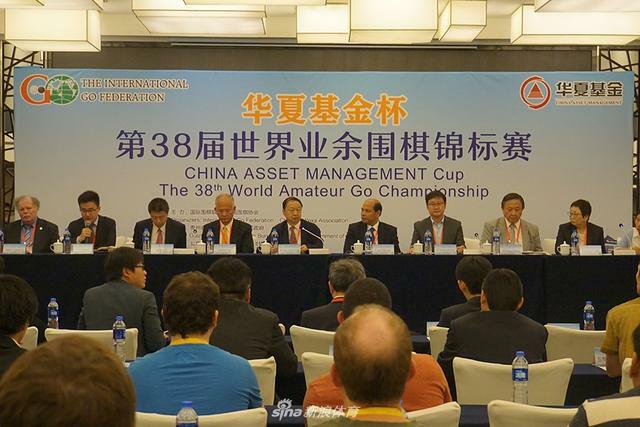 Li will face Li Xuanhao 6P in Tongling, Anhui on August 24th, and he used the 33rd US Go Congress as training to prepare for the match. 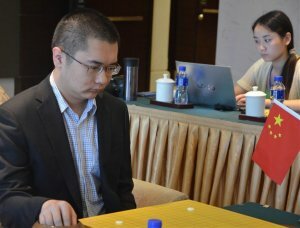 He won eight of nine games in the US Open Masters Division, taking second place and losing only to tournament champion Wu Hao 2P of China. On top of his Go Congress training, he has been studying his opponents’ game records for the past year, and says Li Xuanhao’s style is calm; he expects playing against Li to be difficult, and not just because of his calm, solid style. “I know him pretty well,” Ryan says. “If I were playing someone else, I could review games with him and discuss strategy, but since he’s my opponent of course that would be awkward.” What is he most looking forward to? “I’m really looking forward to all the time before the match, because I’m still in the top 16 right now,” Ryan laughs. Stay tuned for our on-site coverage of the top 16 of the MLily Cup this week. The AGA Broadcast team will provide coverage of two games from Round 2 of the 3rd Lily Cup tomorrow, June 20th, starting at 10:30 p.m. PDT (UTC-7), with commentary by Jennie Shen 2p. Our very own Ryan Li 1p, winning yesterday against Cheng Honghao 2p, now faces world champ Chen Yaoye 9p. Elsewhere in the tournament, Wang Haoyang 6p scored an upset win against Shin Jinseo, the rising Korean phenom, which wins him the chance to play DeepZenGo in round 2. Join us at http://www.youtube.com/c/usgoweb/live or http://twitch.tv/usgoweb ! The MLily cup is the first traditional tournament in which AI players are seeded just as their human counterparts, and it may also be the last, with Tygem China News reporting that no future Chinese tournaments will allow AI entrants. AlphaGo is retiring. 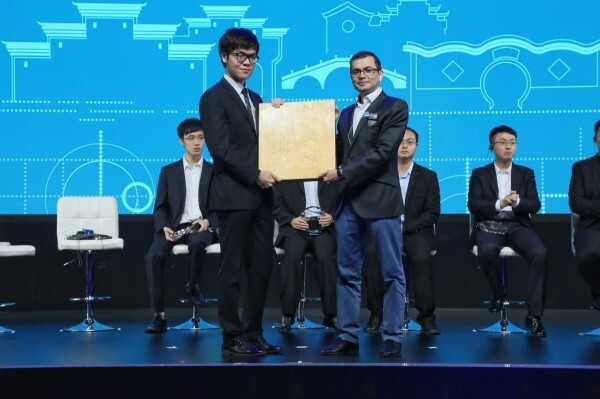 DeepMind’s Demis Hassabis and David Silver made the stunning announcement as the Future of Go Summit wrapped up in Wuzhen, China, saying that the match against world #1 Ke Jie represented “the highest possible pinnacle for AlphaGo as a competitive program” and would be the AI program’s final match. And while DeepMind doesn’t plan to give AlphaGo itself a wide release, Hassabis says he’s more than happy for others to make use of DeepMind’s research themselves. Programs like Tencent’s Fine Art and Japan’s DeepZenGo have used similar deep-learning techniques to achieve around 9th-dan level, according to Hassabis. 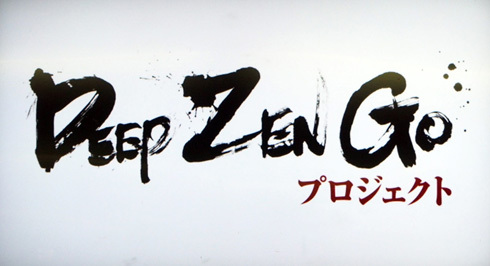 DeepMind will soon publish another paper on how it architected the latest version of AlphaGo, AlphaGo Master, and Hassabis expects other companies to learn from the new research. 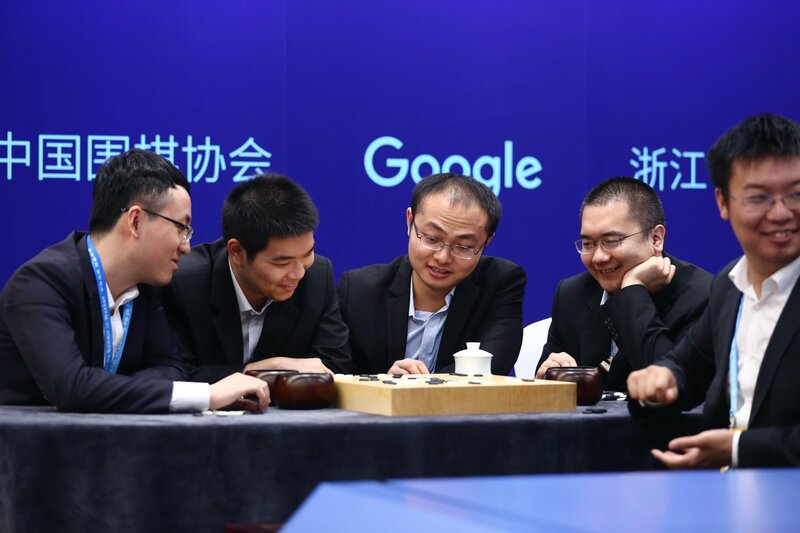 AlphaGo completed its sweep of world number one professional Ke Jie 9P on Saturday, winning the third and final game of their match by resignation. 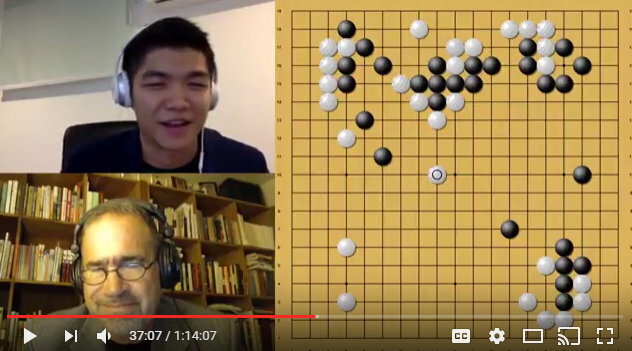 Ke called it “one of the greatest matches that I’ve had.” The game once again showcased exciting and surprising moves from both sides, the first arising almost immediately on move 7, a four-space extension from the upper right in which AlphaGo played one space closer to the corner than in the usual Chinese opening. White 20 was a counter-intuitive second-line probe into Black’s framework on the lower right, showcasing Ke Jie’s superb positional judgment. 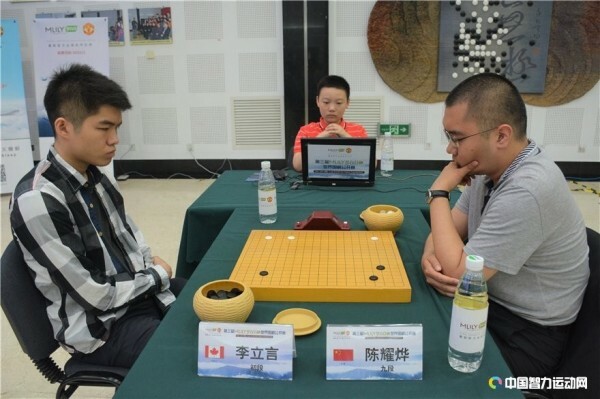 When Ke Jie attained a local advantage in the centre, AlphaGo switched to build a powerful framework on the top that spurred White to invade. 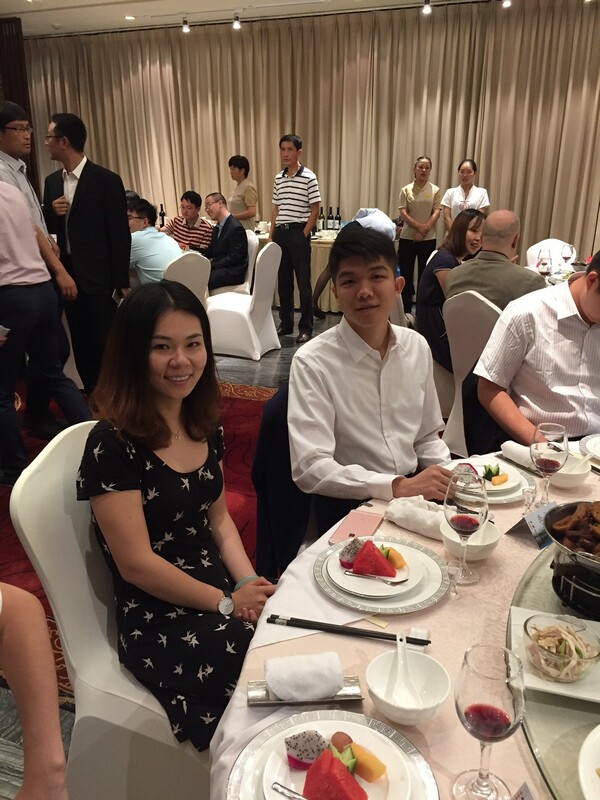 The action came to a head when Ke Jie sacrificed the territory on the upper side to AlphaGo, gaining initiative to pressure the lower left. After AlphaGo protected its group, the match proceeded towards the endgame. Ke Jie revived his stones in the upper left to take the territorial lead, but this sequence left AlphaGo just enough latitude to take control of his group in the centre, and White resigned after 209 moves. Adapted from a report on DeepMind’s AlphaGo page. In Pair Go, the first of the day’s matches on Thursday, top Chinese professionals Gu Li and Lian Xiao each had their own AlphaGo teammate, alternating moves in tag team style. 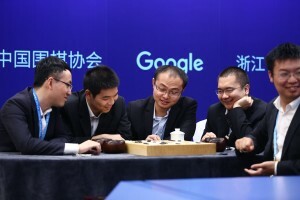 In the second, Team Go, five of China’s top professional Go players had the unique challenge of working together to take on AlphaGo’s distinctive style. 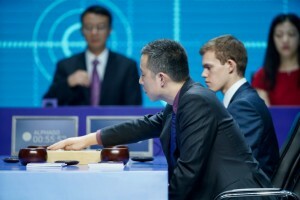 In Pair Go, AlphaGo and its professional teammate agreed with each others’ moves – though they surprised each other from time to time too. In a sense, the match provided a glimpse of how human experts might be able to use AI tools in the future, benefiting from the program’s insights while also relying on their own intuition. The AlphaGo/Lian Xiao Pair Go team prevailed over AlphaGo/Gu Li, winning by resignation. Team Go provided a different but no less compelling challenge, requiring players to coordinate closely to make the most of the format. 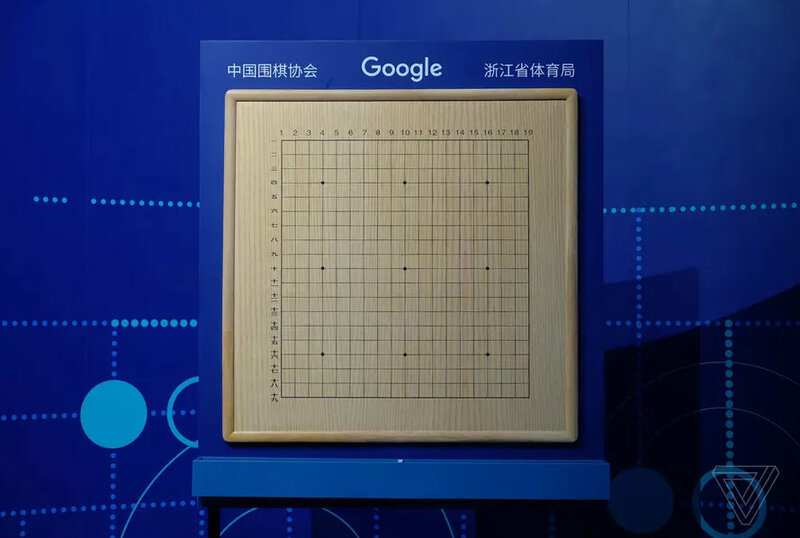 The professional teammates – Zhou Ruiyang, Chen Yaoye, Mi Yuting, Shi Yue and Tang Weixing – had access to their own study board to discuss and analyse variations, allowing them to draw on centuries of Go wisdom and styles as they debated strategies. They approached the challenge in a light-hearted manner, clearly enjoying the experience of playing together, and their resulting style was very balanced. In the end, AlphaGo, once again, won by resignation.